Founded in 1634 the Boston Common is the nation’s oldest park and has had several iterations in its use. It premiered as a cow pasture for almost 200 years before cows were officially banned in 1830. Up until 1817, there were public hangings of “witches” or any other kind of unsavory people the Puritans disliked. The British also used it as an encampment for their soldiers for 8 years before the American Revolutionary War. We like to remember for being known as American’s oldest public park. A green space for public gatherings of free speech. The Boston Common serves a central point for city dwellers to access nature to relax and play. Seasonally the Boston Common has a few fun features. There’s the Frog Pond for ice skating in the winter, which becomes a giant water fountain for the kids to play in during the summer months. 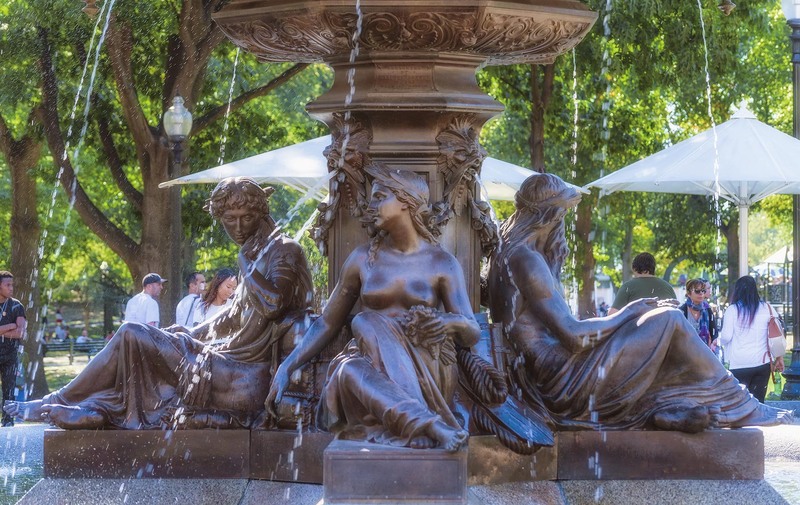 Many of our guests will venture through the Common as Bostonians affectionately call it. The Boston Visitor’s Center and Freedom Trail origin can be found in Boston Common.